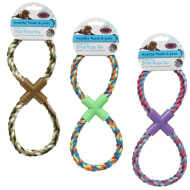 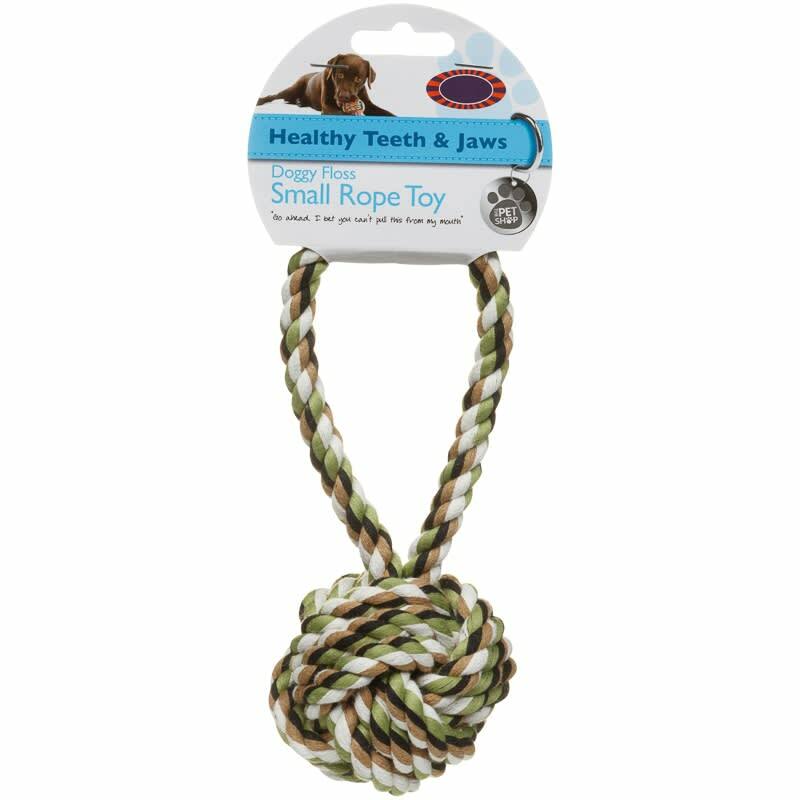 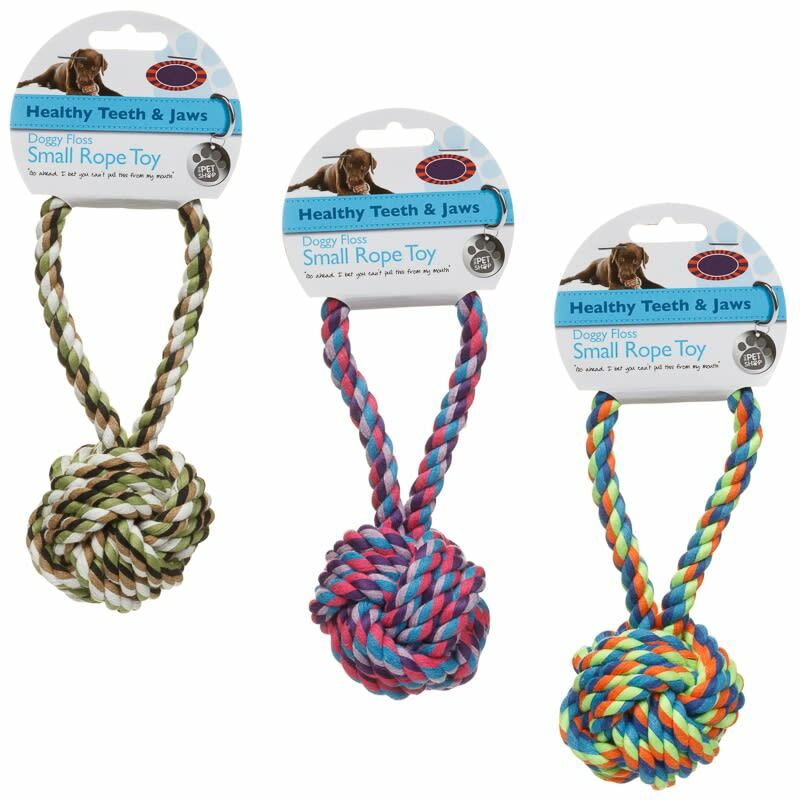 Ball-shaped dog rope toy with a handle. 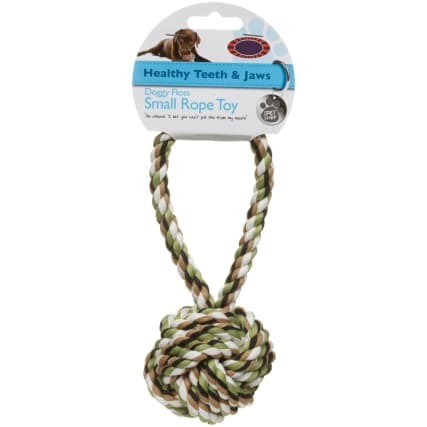 A doggie floss for healthy teeth and jaws. 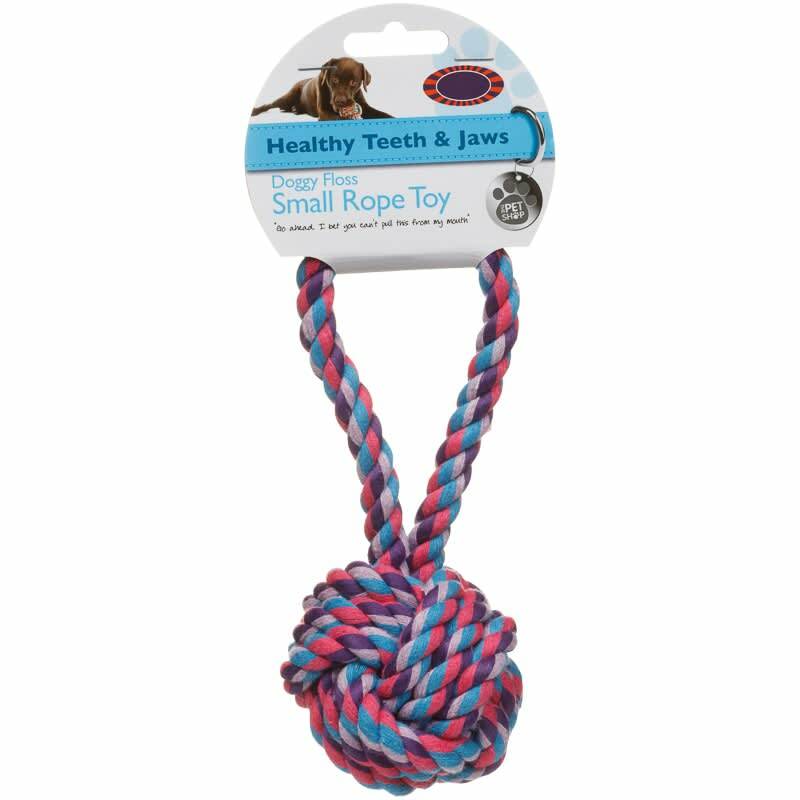 Give your canine friend a fun toy to chew on and play with. 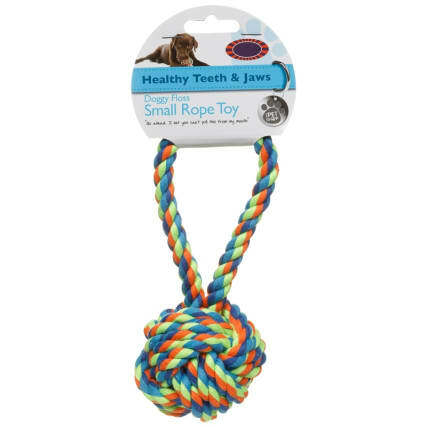 Hold one end and let them pull at the other, strengthening their teeth in the process. 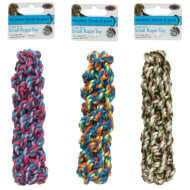 For more brilliant Dog Toys, check out our superb range online and buy in-store at B&M. For your pet's safety examine the toy frequently for signs of wear and tear. 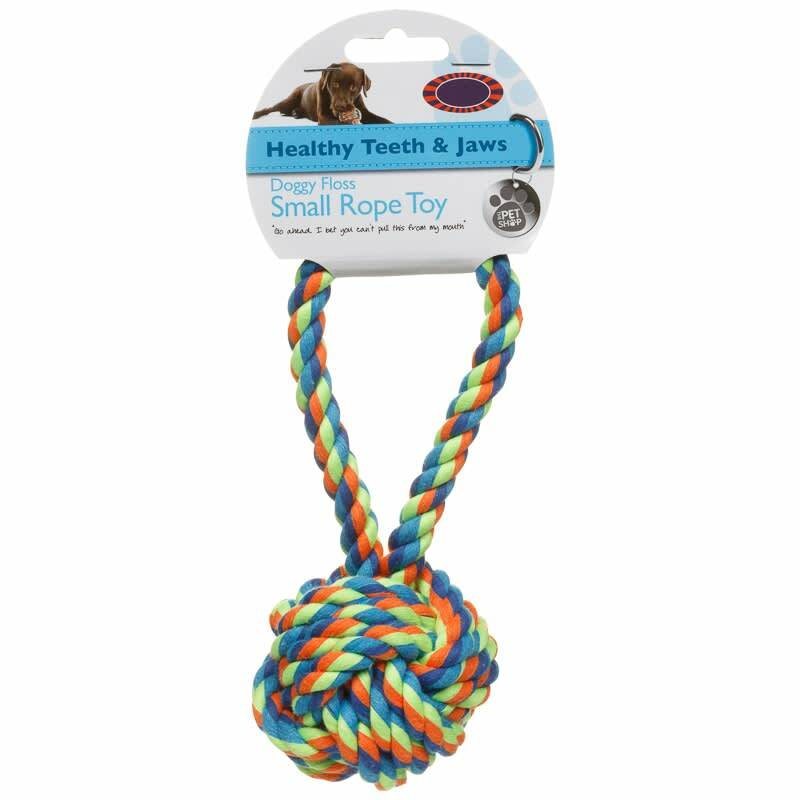 If damage is apparent then discontinue use and replace with a new toy.